Here’s an example I scanned of a one-shot strip called The Thrilling Rescue of Little Tommy’s Best Hat from June 15, 1902 by Walter McDougall. 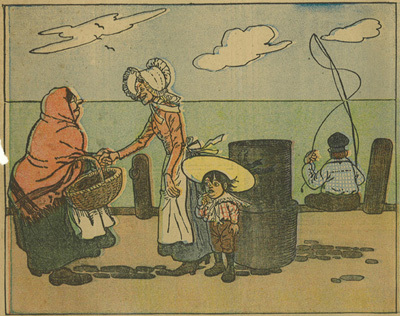 McDougall was the first syndicated newspaper artist. 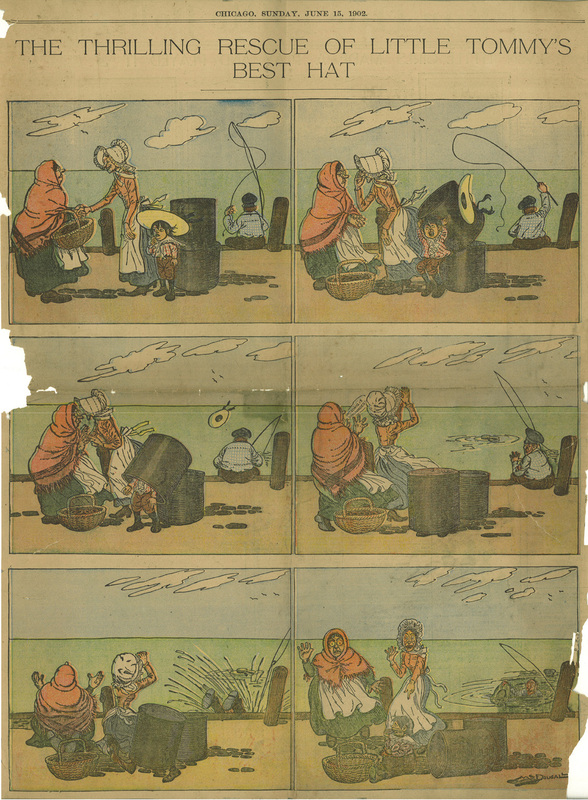 He drew what has been noted as the first color comic strip in an American newspaper (“The Unfortunate Fate of a Well-Intended Dog”). In 1898 he drew what was likely to be the largest single panel comic drawn for a newspaper, which was spread over two pages. See some various works by Walt McDougall at Barnacle Press. Read The Outlet by Walt McDougall at Barnacle Press. Read more about Walt McDougall at Lambiek.